Watauga Lake, nestled in the Appalachian Mountains and the Cherokee National Forest in northeastern Tennessee, enjoys the most stunningly beautiful lake and mountain views in the 'Volunteer State'. Started in 1942 and finally dammed on the last day of 1948,	Watauga Lake is the TVA's highest-elevated reservoir in Tennessee. Surrounded by densely forested mountains in the "high country", Watauga Lake sits 1,959 feet above sea level at "full pool" (full summertime elevation). At Watauga Lake, it's usually a few degrees cooler than similar locations closer to sea level. Watauga's surface covers 10.05 square miles of two mostly-rural Tennessee counties: Johnson County and Carter County. Watauga Lake is accessible only by winding mountain roads. The Appalachian Trail crosses the southwestern tip of Watauga Lake. The lake is located south of Mountain City (Tennessee), west of Boone (North Carolina), east of Elizabethton (Tennessee), southeast of Bristol (Tennessee), southwest of Damascus (Virginia), and northeast of Johnson City (Tennessee). James Mooney, an American anthropologist, said that that the meaning of Watâ'gi (commonly misspelled Watauga, Watoda, Wattoogee, and Whatoga) has been lost (Myths of the Cherokee, 1900). However, there are several conjectured meanings of "Watauga" that you can find online: "beautiful waters", "clear waters", "whispering waters", "running waters", "falling waters", "foaming at the mouth", "village of many springs", "broken waters", "river of plenty", and more. Regardless of its true semantic origins, most visitors agree that Watauga Lake is all of the above. Because of its relatively difficult road access, Watauga Lake is lightly touristed. You'll find just one small motel and several seasonal marinas and restaurants with waterviews on its 104.9-mile shoreline. Large-scale lakefront real estate development is limited by Watauga Lake's steep shoreline and by the scarcity of buildable, privately-owned waterfront property. Part of Watauga Lake covers what was once Butler, Tennessee. Old Butler -- as it is now called -- was a town where Native Americans interacted with white settlers, Daniel Boone stopped to rest, and pioneer families farmed for generations. The TVA's decision to dam the Watauga and Elk Rivers sealed Old Butler's fate: it would soon lie on the bottom of the new lake. Instead of watching Old Butler disappear, its citizens relocated their town to higher ground. "New" Butler is located lakeside and is home to the Butler Museum, which preserves the history of life in Old Butler. The museum has exhibits, artifacts, and displays with old quilts, photos of the old downtown, and other reminders of Old Butler. More than just a museum, it takes visitors back to the pre-Watauga Lake days of Old Butler. Watauga Lake is a man-made reservoir built by the TVA (Tennessee Valley Authority) for flood prevention, creation of aquatic habitat, and hydropower generation. Recreation and tourism have produced economic and quality-of-life benefits for Watauga's surrounding communities. The TVA began building the Watauga Dam on February 16, 1942. Construction was postponed on December 21, 1942 to divert funds to WWII-related efforts, then resumed again on July 22, 1946. The gates to Watauga Dam finally closed on December 31, 1948 -- and Watauga Lake was born. The Watauga Lake Dam is an earthen structure -- 331 feet high, 925 feet long, and 1275 feet thick at its base. The dam includes 350 million cubic yards of material. 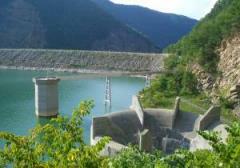 Building Watauga Lake incurred 10,274,559 man hours of labor. One man lost his life during Watauga's construction and 48 others were injured. In the past, Watauga Lake has been drawn down to the riverbed by the TVA for a visual inspection of the earthen dam, exposing the remains of Old Butler and providing an opportunity to repair docks, stabilize the shoreline, and to add fish-attracting structures. A drawdown is no longer necessary; the submerged portion of the dam can now be viewed with the use of remote controlled vehicles. Watauga Lake, or Lake Watauga as it is sometimes called, is 16.3 miles long and covers 6,430 acres (10.05 square miles). Its maximum depth at full pool is estimated at 305 feet -- and 265 feet at the dam. According to the TVA's Rerervoir Operations Study (2004), Watauga Lake boasts 104.9 miles of shoreline. Just 47 miles of shoreline are privately owned. Many of those 47 "private" miles are below the 100-year flood plain (1,975 feet above sea level) and can accommodate only temporary structures like RVs and campers. The other 58 miles of shoreline are public land. Most of those 58 are part of Cherokee National Forest and can never be developed, helping Watauga Lake to remain the TVA's most beautiful and pristine mountain-surrounded lake. Watauga is a great place for boating, fishing, and swimming, yet contrary to often-repeated but unsupported claims, it is not the "third cleanest lake" in the USA. Watauga Lake's ecological health was rated mostly "good" by the TVA from 2010-2018. Several of the 31 TVA lakes had higher ratings; see the ecological health ratings for all 31 TVA reservoirs - Apalachia, Bear Creek, Beech, Blue Ridge, Boone, Cedar Creek, Chatuge, Cherokee, Chickamauga, Douglas, Fontana, Fort Loudoun, Fort Patrick Henry, Guntersville, Hiwassee, Kentucky, Little Bear Creek, Melton Hill, Nickajack, Normandy, Norris, Nottely, Parksville, Pickwick, South Holston, Tellico, Tims Ford, Watauga, Watts Bar, Wheeler, and Wilson. See the TVA Website for info on all of its lakes and rivers. Contact the TVA Public Lands Information Center	with questions on environmental issues, including Watauga Lake's water quality. Lakefront & Off-Water: Watauga Lake Vacation Rentals at Lakelubbers.com. Lakefront & Off-Water: Iron Mountain Inn / B&B is located off-water on 140 acres atop Iron Mountain. This luxurious, secluded log home, rated 4.5 stars on TripAdvisor, is located just six miles from Watauga Lake. Breakfast is included; dinner requires 24 hours' notice. $155-$300/night. 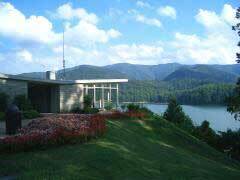 They also offer Watauga lakefront homes. Phone: 423-768-2446. Lakefront: Lakeshore Resort offers lakefront lodging for one night or longer. Choose from rooms, cottages and cabins (some have fireplaces). There's an outdoor pool, and a dock for your boat. There's also a restaurant on the premises and a marina next door. $99-$300/night. Phone: 423-725-2201. Off-Water, Lakeview: Cherokee Forest Mountain Cabins are located off-water with spectacular birds-eye views of Watauga Lake. These secluded mountaintop log cabins border Cherokee National Forest. The steep gravel road to these cabins is well-maintained. $170-$230/night. Phone: 423-768-4484. Off-Water: Roan Creek Campground offers rustic cabins, luxury camping tents for "glamping", and RV and tent sites. $15-$75/night. Phone: 423-768-0012. Off-Water: Sugar Hollow Retreat, located off-water on 300 acres, offers a 10BR lodge, 4 guest houses, a conference center, and an amphitheater -- ideal for family reunions, weddings, church groups, and corporate retreats. 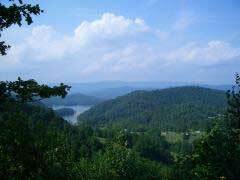 There are nine miles of hiking trails, a large deck overlooking Watauga Lake, and a 9-hole frisbee/golf course. $275-$1100/night. Phone: 423-768-3105. See: Watauga Lake Real Estate at Lakelubbers.com. Watauga Lake is a beautiful and serene choice for your first or second home. Like any lake, Watauga Lake has its own set of unique factors to consider when you buy real estate. Watauga lake is nestled amongst the Appalachian Mountains. Most waterfront property is steep. Gently sloping lots are rare. Many homes quite literally sit mountainside. Seasonally changing water levels create a unique challenge for docks on Lake Watauga. Property owners must take special care to float their docks up and down as lake water levels change. You must also be sure that your lake home's waterfront will not be dry when Watauga's water level falls to 10 feet or more below "full pool." If you decide to buy lakefront real estate at Watauga Lake, be prepared for a challenge. Just 47 of the 106 miles of lakefront shoreline are privately owned, so there are few waterfront homes on the market at any given time. Watauga Lake is large (6,430 acres), but developments are few. Potential buyers have several decisions to make. Do you want your own slice of wooded privacy, or do you prefer a development surrounded by neighbors? Can you drive half an hour for groceries, or do you want closer shopping? Choose your real estate agent with care. Watauga Lake real estate differs from many other real estate markets. There is a centralized Watauga Lake MLS (Multiple Listing Service), but many homes for sale are not immediately listed on the MLS. Only the seller's agent and his/her real estate company may know that a home is available for sale. Also, many homes at Watauga Lake are listed as "For Sale By Owner" (FSBO); these never appear in the MLS. You should not only choose an agent with whom you feel comfortable and who knows the lake well, but you should regularly scout all neighborhoods that interest you to find newly available FSBO's. Watauga Lake Activities - What to Do? There are many water activities at Watauga Lake: power boating, swimming, canoeing, kayaking, parasailing, water skiing, jet skiing, fishing, and wakeboarding. Watauga Lake can be accessed at several public and private boat ramps and marinas for a nominal fee ($5 or less). Several National Recreational Areas are located on the southern shore of the western arm of Watauga Lake (see: webcam at Lakeshore Marina). These Recreational Areas are wonderful places to enjoy the natural beauty of Watauga Lake, share a picnic, camp, and relax. The only public beach at Watauga Lake is located at one of the Recreational Areas. The beach and surrounding area are a great place for a family to spend an afternoon picnicking and playing in the water. A public boat launch ramp at Rat Branch Recreational Area (map) collects a small launch fee on the honor system - and also offers a fishing pier. The more remote Sink Mountain Boat Launch ramp (map) off Lakeview Road - at the northeast corner of the lake - charges no launch fee. If you enjoy fishing, Watauga Lake stocks Black Crappie, White Crappie, Bluegill, Brown Trout, Lake Trout, Rainbow Trout, Largemouth Bass, Smallmouth Bass, Spotted Bass, and Walleye. If you fish at Watauga Lake, please note that a Tennessee State Fishing License is required. Fishing guides are available at Fish Springs Marina. "Watauga Joe" Bailey specializes in lake trout and rainbow trout. Southern Appalachian Anglers Guide Service targets smallmouth, largemouth, and spotted bass. Trophy Water Guide Service is a professional fly-fishing guide service. Off-water you'll enjoy spectacular views and sightseeing opportunities from the many official and unofficial scenic overlooks. Cherokee National Forest surrounds Watauga Lake and is home to bubbling brooks, hiking trails, waterfalls, and secret spots just waiting to be discovered. Phone: 423-476-9700. The Appalachian Trail crosses Watauga Lake at the Visitors Center near the Dam. Hikers cannot ask for a better opportunity. Join the Appalachian Trail Conservancy: 304-535-6331. Golfers enjoy Red Tail Mountain Golf Club in nearby Mountain City. It offers a par 72, 18-hole mountain course designed by Dan Maples -- with 400 feet of elevation change and beautiful mountain vistas. Packages are available for non-members. Phone: 423-727-7931. Have you (or your kids) ever been to a drive-in theater? They're vanishing fast, so don't miss this one. Elizabethton's Stateline Drive-In features family-friendly movies at reasonable prices, weekends from April to September. Operating since 1947, the Stateline is located on Highyway 19E South between Elizabethton & Hampton. Holiday weekends include double features. Call for the current schedule: 423-542-5422. Are you physically fit? Participate in the Watauga Lake Triathlon. Johnson County's first farm winery, Watauga Lake Winery, is elevated 2,350 feet above sea level and overlooks the lake in the "historic" Dry Run School. Phone: 423-768-0345. Appalachian Summer Festival features music, dance, theatre, and visual arts. Sponsored by Appalachian State University, this festival runs for about 3 weeks every July. Boone NC, about 50 minutes by car. Phone: 828-262-4046. Elizabethton's Doe River Covered Bridge, built in 1882, is among the few covered bridges surviving in Tennessee. Picnic facilities are riverside, beside the ducks and the bridge. Bring your camera. Just off Hwy. 19E in Elizabethton TN, about 25 minutes by car. Phone: 423-547-3850. Laurel Fork Creek - in the Cherokee National Forest's Dennis Cove Recreation Area - leads to a spectacular 55-foot waterfall. The trail is lined with mountain laurel and rhododendrun, and covers part of the Appalachian trail. The	lower trailhead (a 2.5-mile hike to the falls, easy to moderate difficulty) is located on the south side of Route 321 between the western tip of Watauga Lake and the town of Hampton. There is also an upper trailhead, accessible from Dennis Cove. The upper trail is just 1.2 miles, and easy until the end - where you must descend and later ascend hundreds of steps. Route 321 or Dennis Cove, Hampton TN, 10-15 minutes by car. Off the Grid Mountain Adventures in nearby Elizabethton features one of the USA's most exciting zip lines - nearly 3,000 feet long and 300 feet above the canyon floor, reaching speeds up to 60 MPH. Phone: 423-707-6022. Roan Mountain State Park is best known for its spectacular rhododendron gardens, which bloom during June near the 6,285' peak of Roan Mountain. The 2,006 acre park offers hiking/biking trails, trout fishing, swimming, and more. Roan Mountain TN, about 40 minutes by car. Phone: 423-772-0190. Sycamore Shoals State Historic Area schedules activities from January to December: arts & crafts workshops, concerts & jams, Celtic & Bluegrass & Native American festivals, bird walks, plant auctions & exchanges, historic plays, story telling, mansion tours, quilt shows, and Christmas events. Elizabethton TN, about 25 minutes by car. Phone: 423-543-5808. Tweetsie Railroad & Theme Park features an historic steam locomotive, amusement rides, an animal show, live performances, and more. Between Boone NC and Blowing Rock NC, on US Rt. 321, about 70 minutes by car. Phone: 800-526-5740. Close by on the Watauga and Nolichucky Rivers, outfitters can take you rafting. Try Watauga Kayak Tours & Outfitters (check their Watauga River trip, 423-542-6777) and USA Raft (check their Wautaga River and Nolichucky Gorge trips, 423-743-7111). Looking for Watauga Lake restaurants? You'll find seasonal restaurants with lakeviews, plus a few more within 5 miles of Watauga Lake's 106-mile shoreline. You'll find many more in the nearby towns of Mountain City, Elizabethton, Johnson City, and Boone. Near the lake, most restaurants close or reduce their hours after the peak summer season. Some are open weekends-only. $=Least Expensive, $$$$=Most Expensive. $ ratings are relative to other restaurants near Watauga Lake. Call to confirm hours. Located between Watauga Lake Markers #1 and #2. Call to confirm hours. Located in the Butler cove. Call to confirm hours. Located near Watauga Lake Marker #4. Fresh Thai food, dine in or take out. Try their egg rolls. When you boat at Watauga Lake, please be careful and courteous. The Tennessee Wildlife Resources Agency (TWRA) is an excellent source of information about safe boating. No Wake Zones: Within 50 feet of shore, another boat, a swimmer, a dock, or a no-wake zone (indicated by no-wake buoys) you are required by law to operate your boat at your boat's lowest possible navigable forward speed. Other Rules and Regulations: Please review TWRA's online boating information (including regulations) carefully before you boat at Watauga! You can get a copy at any marina. To gas up your boat while cruising Watauga Lake, here's where to go. Call each marina for hours, directions, and current gas prices. Some marinas are seasonal. Marine gas, boat launch ramp, grill. Open year-round, except some holidays. Call to confirm hours. Marine gas, boat rentals, boat launch ramp. Located across from Watauga Lake Marker #3. Open year-round, except some holidays and during bad weather. Call to confirm hours. Located near Watauga Lake Marker #1. Marine gas, boat launch ramp, and snack bar. Located near Watauga Lake Marker #4. Marine gas, boat launch ramp. In 2013, Carefree Boat Club arrived at Lakeshore Marina on Watauga Lake with an alternative to renting. They offer shared boat ownership that enables you to have access to a boat without buying it. There's an initiation fee plus a monthly fee that provides access to a boat when you need it - at Watauga and about two dozen other lakes. Watauga Lake (map) is located in the northeast corner of Tennessee, 45 miles south of the Tennessee/Virginia border and 10 miles west of the Tennessee/North Carolina Border. The directions below will take you to the SR-67 bridge that crosses Watauga Lake. The town of Butler TN is located 2 miles north of that bridge; Butler is the only town located on Watauga Lake. The roads near Watauga Lake are mountainous, winding roads. Expect sharp curves (many are unmarked) and drive slowly. After you arrive at Watauga Lake, visit any marina to buy a detailed, waterproof map of the lake for about $8. If you plan to explore the lake, these maps will help you to find the local roads that lead to Watauga Lake's many coves. Travel south on I-81 in Virginia to Exit 29 (SR-91 exit at Glade Spring VA). At the bottom of the ramp, turn left onto SR-91 south. Follow SR-91 south approx. 15 miles to the Tennessee border, near Damascus VA. Continue on SR-91 approx. 12 more miles to Mountain City TN, where SR-91 turns right (West Main Street) and becomes SR-67. Follow SR-67 approx. 18 miles, past the town of Butler, to the bridge that crosses Watauga Lake. This mountainous, winding route is very secenic, especially near the Virginia/Tennessee border. It should take you 60-70 minutes to reach Watauga Lake after you leave I-81 at Exit 29. Leaving Boone NC, travel west on US-321/US-421 for approx. 5 miles, until the two highways separate. Turn left onto US-321, then travel west for approx. 11 miles to the Tennessee border. Continue approx. 12.5 miles west on US-321 until you reach SR-67. Turn right onto SR-67, and follow SR-67 north about 1/2 mile to the bridge that crosses Watauga Lake. This route is mountainous, very scenic, and includes many sharp turns. It should take you 40-50 minutes to reach Watauga Lake after you leave Boone NC. 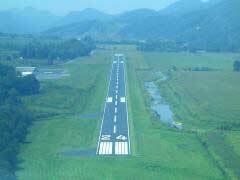 If you fly a small plane, you can land it at General Aviation Airport 6A4, the Johnson County Airport in Mountain City, Tennessee. It's about 12 miles north of Watauga Lake, with an elevation of 2240 feet and a runway that's 4498' x 75'. They sell 100 low lead and Jet A fuel. Enterprise Rent-a-Car is on-site. Contact: Bob & Cindy Johnson, Doe Mountain Aviation LLC, 611 Airport Rd., Mountain City, TN 37683. Phone: 423-727-1223. Watauga Lake - How Far? The distances shown below are measured, using Google Maps, from the SR-67 bridge that crosses Watauga Lake. Shorter routes may be available. This webpage was first developed by Brian Raub and Erin Raub (The Travel Copywriter). It is updated regularly by Brian and Lisa Raub, vacationers and friends of Watauga Lake. All text is Copyright © 2006-2018 Brian Raub and Raub's Internet for Business LLC. All rights reserved. Photos are Copyright © 2006-2018 Erin Raub, Brian Raub, and Raub's Internet for Business LLC. All rights reserved. Lakes for Vacation and Recreation from Lakelubbers - 2,150 of the world's best vacation and recreation lakes. 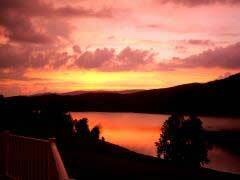 Smith Mountain Lake - Insiders' Guide to the Jewel of the Blue Ridge. Used Wheelchairs USA - Gently Used Electric Wheelchairs, priced 75% less than new. Watauga Lake, Tennessee - Insiders' Vacation Guide. Website Created Sep/29/2006; Last Updated Sep/19/2018. Thanks to Vikki Woods for her help with updates.